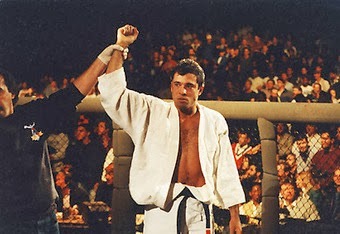 Royce Gracie entered UFC 3 with the chance to continue his legacy as the Michael Jordan of the fledgling sport of mixed martial arts. 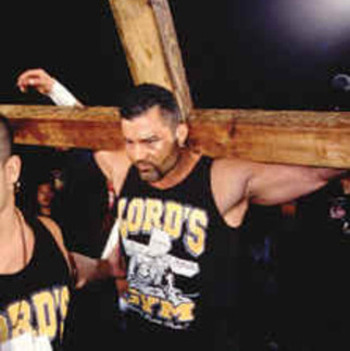 While the eight-man tournament was set up like the first two UFC events, as a battle to see which style of martial arts was superior, everyone knew that one athlete – Royce Gracie – had to be knocked off to keep everyone else from being irrelevant. Big John McCarthy was the referee for all of the fights, and for the first time, he had the discretion to stop the fight, rather than waiting for the cornerman to throw in the towel. Bryan Kilmeade, Jim Brown and Ben Perry returned as the announce crew, and they worked together very smoothly. Rich “G-Man” Goins continued his streak as ring announcer for all three UFC shows. UFC 3: an eight-man tournament for $60,000. Let’s fight! Hackney was facing a man more than three times his weight (200 pounds to 616). There’s something you don’t see these days. We return to the Mile High City four months after the first UFC, as the one-night tournament has expanded to 16 fighters. Somebody will have to win four fights in one night. The live crowd has already watched seven of the eight first-round bouts. 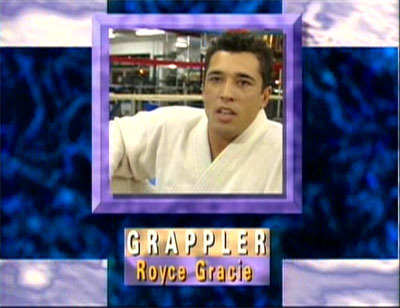 Now we check in for the last one, featuring the winner of UFC 1, Royce Gracie. His wish is granted as Gracie smothers him and starts nailing him with punches to the ribs and palm strikes to the face. 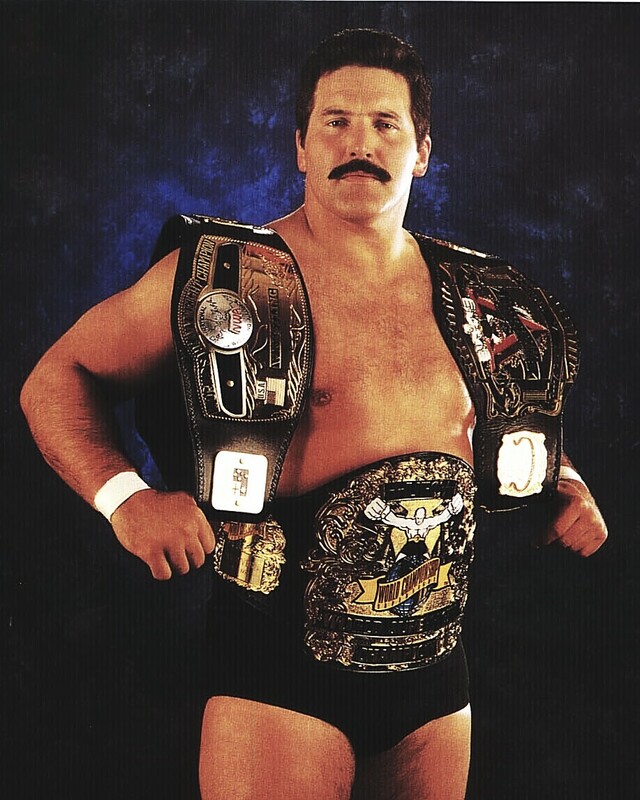 The announcers talk about how Gracie wants to win via rear naked choke, but it’s not happening. 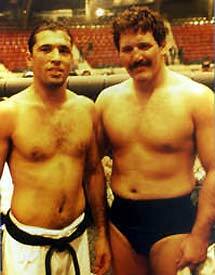 Realizing that he has to fight three more times, Gracie switches to a lapel choke and gets the tap out.